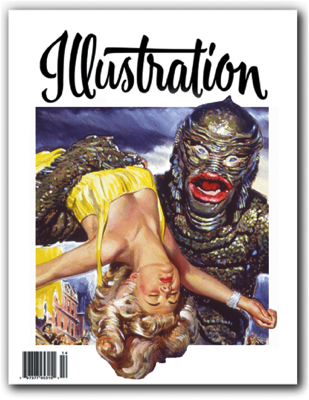 In this issue: The classic work of illustrator Frank E. Schoonover; the movie poster and illustration art of Reynold Brown; the stone lithography of turn of the century of sheet music; the artists of the Revell model kits; the story of the DVD Norman Rockwell and the Saturday Evening Post. Book Reviews, Exhibitions and more round out the issue. 80 pages in full color. Sold out.